I recently came across this quote by Rachel Carson and was struck by its truth. For me, it’s a manifesto of sorts: open people’s eyes to the wonders of nature. There are wonders at every turn. All we have to do is slow down. Stop. Look. And listen. This picture was taken over the summer in the Colorado mountains. 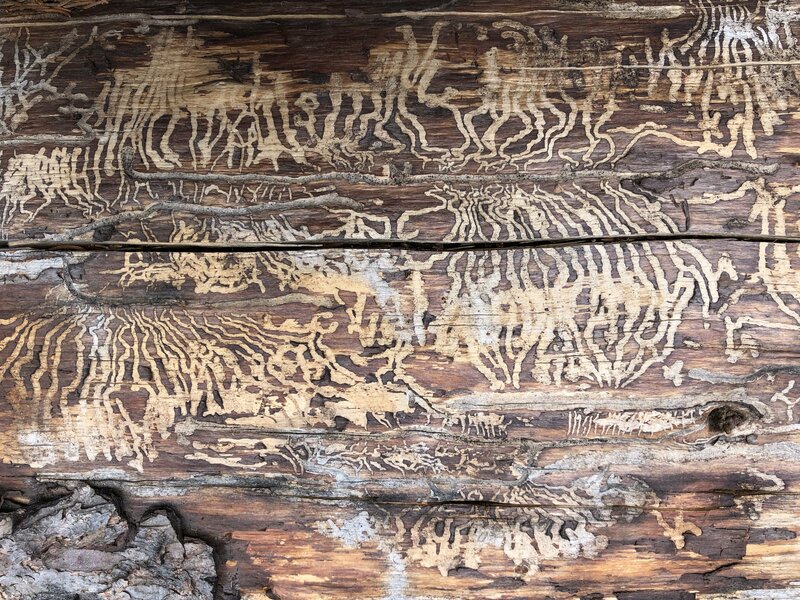 It is the trunk of a fallen tree and the squiggles were made by insects burrowing just under the bark. But what insect? How many? Where did they go when the tree fell? As I stared at the patterns left behind by the unknown insects, question after question filled my head. There was a whole universe in that tree.